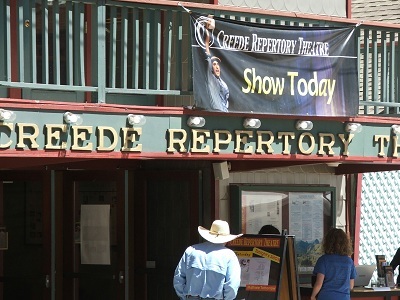 The Creede Repertory Theatre is located in the small town of Creede, Colorado. Do not let the small town setting deter you from visiting as this is a professional theatre with National Recognition. 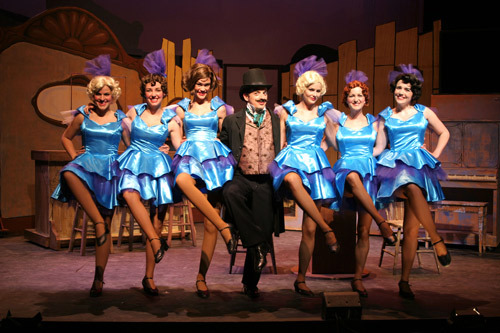 Every summer the theatre produces 7-10 plays which are sure to entertain everyone! The tickets are very reasonably priced with most being under $30 a show. The theatre also offers package deals which allow you to see multiple shows for a discount. They offer evening and matinee performances to help meet your needs. With the various shows running weekly from May through September there are many opportunities to take in a play. Check out the Creede Repertory Theatre’s website for the complete schedule of plays. I would recommend making reservations because many shows sell out. While it has been several years since I have seen a play at the theatre, I am sure the level of the plays have only increased. In my opinion there is no bad seat in the house. While all of their plays are outstanding, I personally love their comedies. They have never failed to make me laugh hard and really enjoy myself. I also really love the small town feel that is accompanied with the theatre and the town of Creede. After the performance the actors are waiting outside the theatre ready to shake hands and answer any questions. For me, this extra effort goes a long way and I always look forward to attending a play. 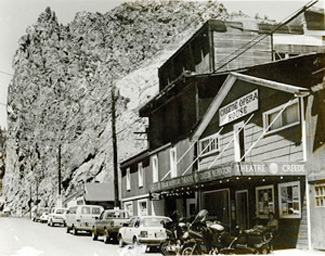 In the late 1960’s as Creede’s main income, the mines, were declining, the idea for a theatre was born. In 1966, a pastor, with a love for the theatre, had a vision of providing exceptional performances as a way to stimulate Creede’s economy. With his vision he worked hard finding performers. With the brilliant idea to ask college theatre students to come perform, he mailed letters to several universities. Wow, what a dream and a goal can accomplish. His letter was answered by a theatre student from the University of Kansas. Twelve students made the journey from Kansas to Creede to begin the first season. The twelve students kept very busy rehearsing, building the scenery, designing costumes, and selling tickets. Well, the first show was a huge success and the rest is history! In 2011, the Theatre is celebrating their 46th season. The rotating schedule of five to six plays every week keeps everyone on their toes and provides a unique opportunity for visitors to see the different plays. Ever expanding, the Theatre partnered with The Arvada Center in Arvada, CO to bring “The Ladies Man” to people living in the Denver Metro Area. 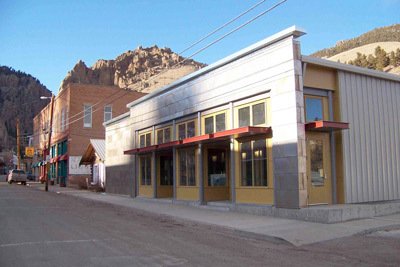 Located just two blocks south of the current theatre it will allow the Creede Repertory Theatre the opportunity to perform two plays simultaneously. Every year the Theater continues to grow and expand. It continues to excel for excellence and provide its customers new and unique theatre opportunities. We invite you to come and watch a play as it is sure to captivate you!